I think I like textile tools even more than I do textiles. 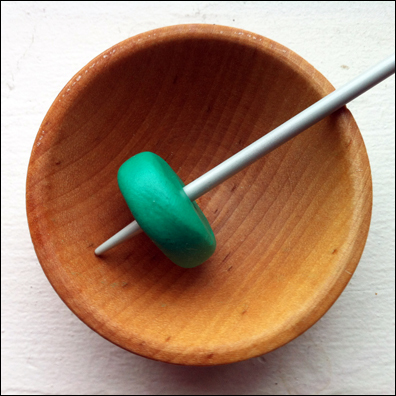 This is a tiny supported spindle made of sugru and a spare knitting needle. It actually spins pretty well!